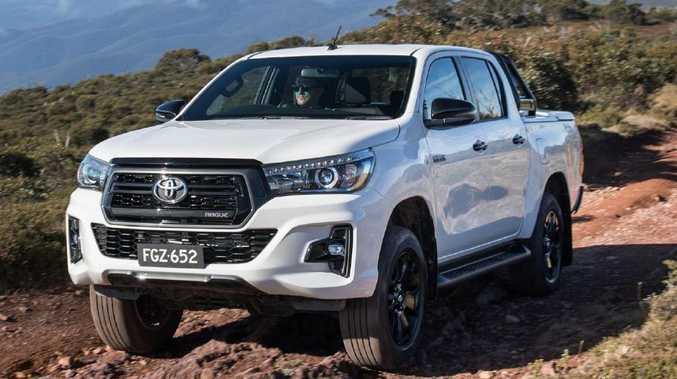 Toyota HiLux Rogue: Ute or pick-up? SO, "pick-up truck" or "ute"? We should look to Australia's past and copy the terms used from about 80 years ago. 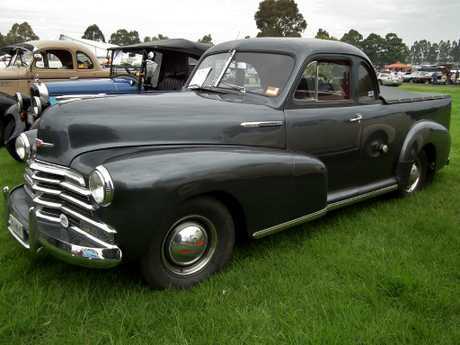 Back then the Holden coachbuilding outfit sold two ranges of Chevrolet utes concurrently. The lighter capacity was the "Passenger Ute" and the heavier duty version the "Commercial Ute". So observing the Australian ute convention, we could describe the now-extinct Commodore and Falcon utes as passenger utes and the likes of the Toyota HiLux, Holden Colorado and Ford Ranger could be called commercial utes. I have no objection to people referring to pick-up trucks colloquially as utes. But to my knowledge, there are no new true (coupe) utilities available in Australia today. The original coupe designation was not used by all makers but all used the term "utility". Many of them made and sold proper utilities here, from the Armstrong Siddeley to the Morris Z. These utilities have a single metal pressing, from the rear of the door to the rear of the vehicle, with the front of the cargo bed doubling as the rear of the passenger compartment. 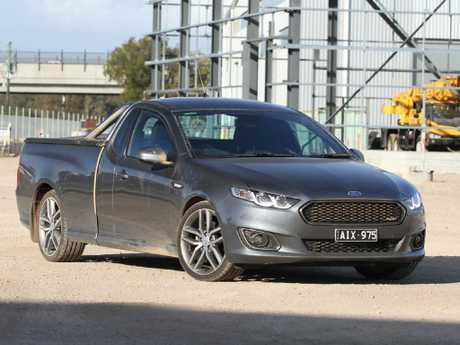 Ford Falcon … a ute or, given the separate tub, a pick-up? Pick-up trucks have a separate tub section, so there's a gap between the rear of the cabin and the cargo area. 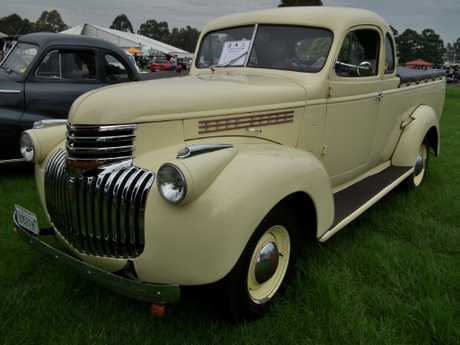 Ford Australia invented the coupe utility in 1934 - but to be pedantic, the last Falcon was actually a pick-up, unlike the Commodore. Today, even the manufacturers ignore the history and original terms, but it would be nice, if (especially Australian) people knew and acknowledged the differences. Given rear seat space in the Toyota Corolla Hatch is only suitable for children and boot space isn't huge, when is Toyota Australia going to bring in the Corolla Touring/Wagon? Its extended wheelbase means class-leading rear legroom and generous cargo space. 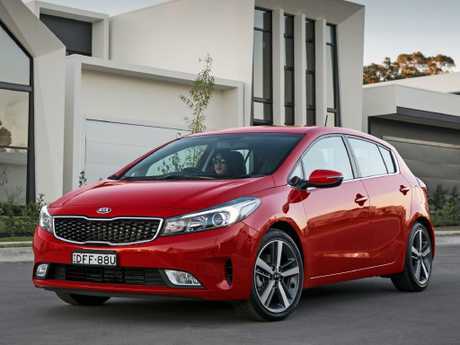 Toyota Australia stopped selling the Corolla wagon in 2007 but you can still get rival VW Golf, Renault Megane, Holden Astra and new Ford Focus wagons. Small wagon sales are relatively minuscule however. 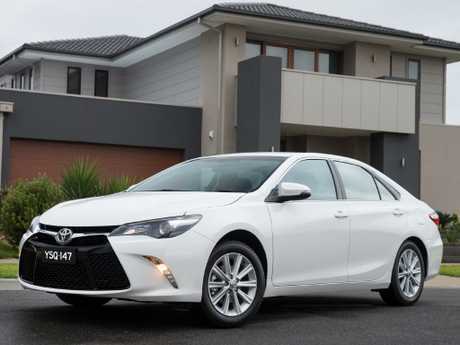 Orlando Rodriguez from Toyota Australia says: "There has never been a solid enough business case for a Corolla Wagon, mainly due to wagon manufacturing being in Europe only, whereas Australia currently sources Corolla from Japan, and the plant there does not build the wagon … the preference in Australia is for SUVs so that's been our main focus." 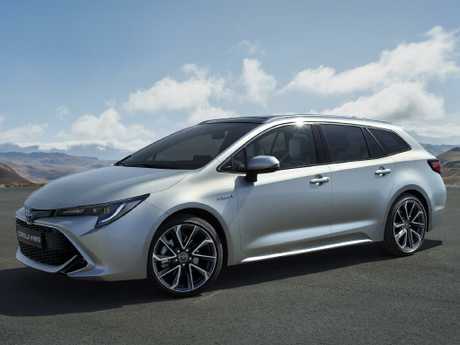 Toyota won't rule out a wagon in future if the business case stacks up but for now we miss out on the rather good looking Corolla Touring Sports sold in Europe. The Corolla sedan, due later this year, should be more practical than the hatch. Toyota Camry Atara S: What happened to voice recognition? My Toyota Camry Atara S's voice recognition worked when I first bought it but after a few months it stopped working. I've complained to Toyota many times but they always fob me off, saying it's not meant to work. Has anyone else experienced this? Toyota updated the Camry, including your Atara S, in May 2015 with voice recognition and Toyota Link as standard. If it once worked and now doesn't, it's ridiculous for your dealer to say "it's not meant to work". One possible explanation is internet radio service Pandora no longer broadcasts in Australia - had you used voice recognition for that? If you're having no joy with your dealer, speak to Toyota's customer line on 1800 869 682 for advice on how to get it fixed. Re selecting a vehicle to tow a caravan and stated towing capacities, your readers need to know the full facts. What about towball weight? In most of the vehicles you suggested, the figure is 80kg-100kg. Very few Australian manufactured vans are that light, including Coromal (the make you cited), and therefore shouldn't be towed by any of the vehicles mentioned. Experts often recommend that the allowable towball weight be at least 10 per cent of the weight of the caravan or trailer but it is not a regulatory requirement. In NSW, the RTA recommends between 5 and 10 per cent, so theoretically a vehicle with a towball weight of 100kg could tow a 2000kg caravan. Other state authorities don't mention a towball weight. There are Coromal and Windsor vans that fall within this weight range, but you're right to urge caution. Prospective buyers need to account for the aggregate trailer mass of the van, gross vehicle mass of the tow vehicle and combined vehicle mass (tow vehicle and caravan). It's a minefield - anyone looking to buy a van should get expert advice. For checking your caravan, you can get a set of towball weight scales online for about $60. 16-inch steel wheels". What are the advantages of alloy wheels over steel? Aren't they more expensive to begin with, easier to damage, dearer to repair and prone to gather brake dust? They may be lighter but is this so important? You're correct about the negatives, Gary, but the pluses for alloys outweigh them. Aesthetics are vital to new cars today and having alloys fitted has huge appeal for most buyers. On steel wheels, plastic covers look nasty, are easily marked and can fall off. Alloys are stronger and lighter, allowing better acceleration and more responsive steering to aid driveability. They are more efficient in dissipating heat to aid brake cooling. A confession: I have a soft spot for classic sports cars, such as a 1960s Porsche 911 or Jaguar E-Type, on steelies. Perfectly acceptable then. Re water contaminating fuel. Just put "metho in petrol to remove water" in your search engine. It's an old trick and fast fix to avoid the poor performance and high repair costs. A small amount of methylated spirit added to the fuel tank to absorb water has been suggested a few times. It is certainly an old mechanic's trick, as confirmed by my spanner-man contact with 50 years' experience. With a complex modern sports car, I'd be wary. If water-contaminated fuel has damaged the fuel line or injectors, the metho won't help things. May I suggest when you're talking about the autonomous emergency braking safety feature in cars you mention the range of speeds over which it works? I recently looked at the Holden Equinox and was told it only worked at up to 42km/h. And will AEB work for other obstacles potentially in the car's path, such as trees? A good point. Manufacturers have different names for their AEB tech (for example, Ford has Active City Stop, Audi has Pre Sense Plus) and they don't all operate at the same speeds. Some function only at city or traffic jam speeds; some start working only at higher speeds. An advanced system such as BMW's Driving Assistant Plus works from 0-210km/h. The tech even varies between model grades. In the Holden Acadia, the AEB works at a minimum from 8-60km/h but in the flagship LTZ-V it operates at "all speeds". Some makes also have pedestrian and cyclist detection and, if you're headed for a big tree, yes, it will kick in too.